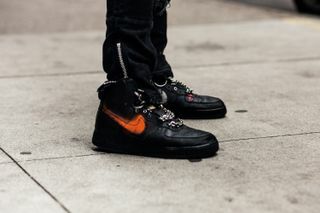 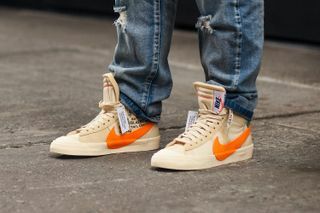 Key Looks: Yet to be released OFF-WHITE x Nike Blazer Mid “ALL HALLOWS EVE,” custom Air Jordan 9 silhouette with a beat-up aesthetic looks interesting, the Tom Sachs x Nike Mars Yard 2.0, Sean Wotherspoon Nike Air Max 1/97, all-white Nike ACG is clean, classic all-black Bapes, adidas Jeremy Scott Teddy Bears are loud AF, and the heavily sought-after Nike React Element 87. 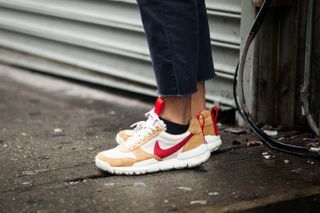 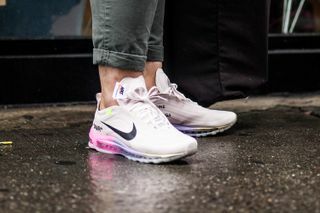 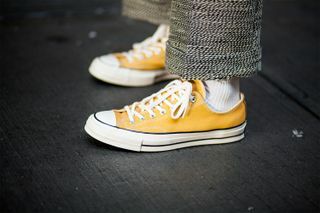 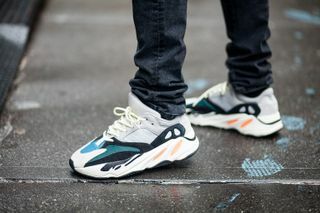 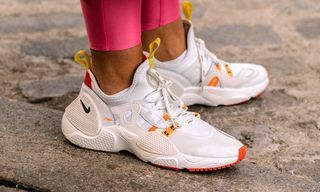 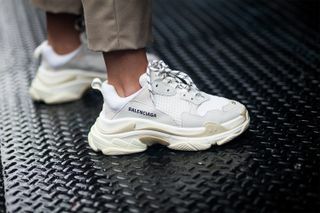 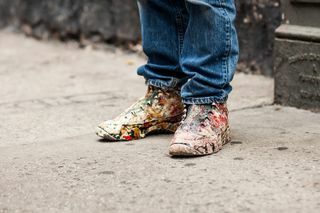 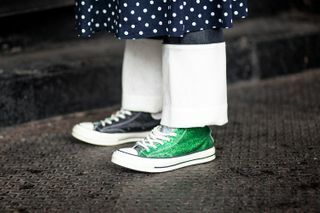 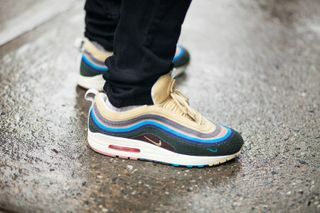 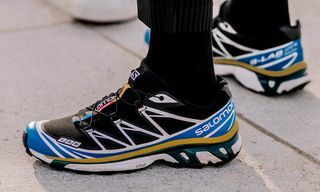 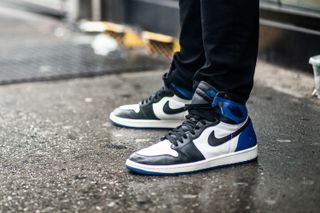 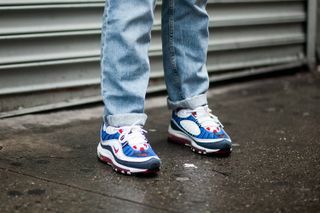 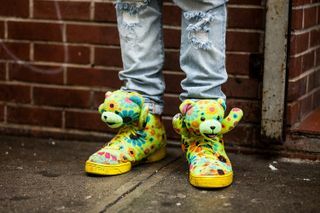 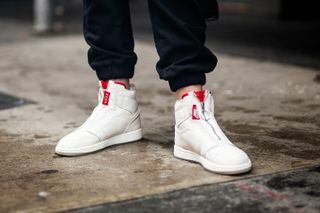 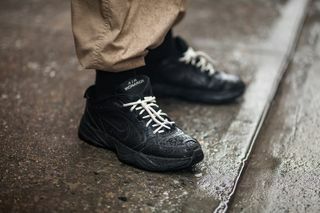 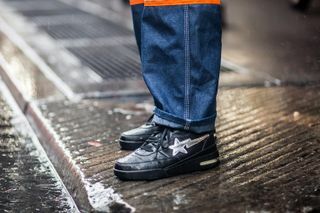 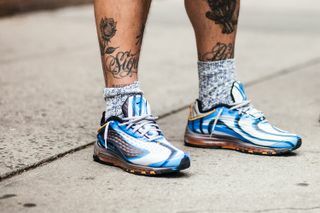 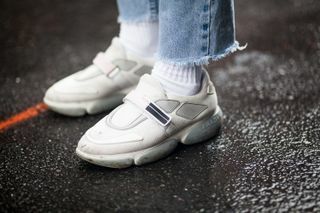 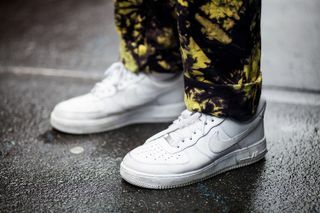 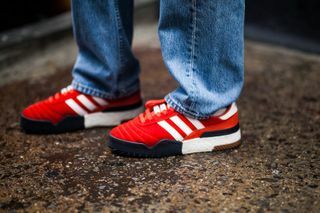 Editor’s Notes: New York Fashion Week is in full swing, as fashion enthusiasts are proudly flexing their sneaker game throughout the streets of NYC. 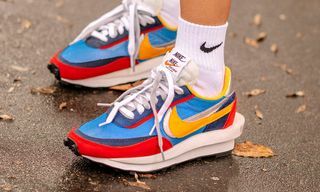 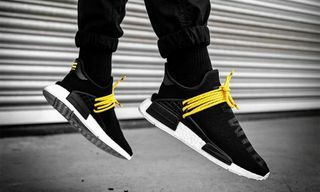 Just like how the Big Apple is a melting pot of cultures, filled with diversity, the same theme is evident across this best sneaker style roundup. 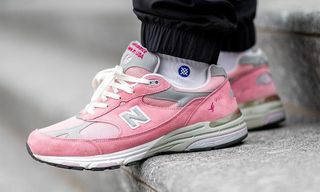 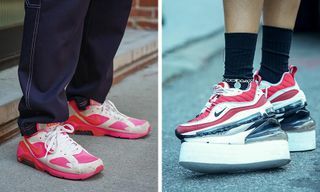 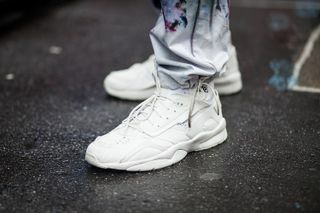 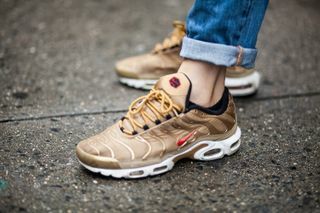 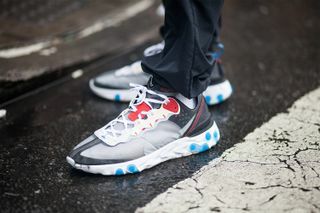 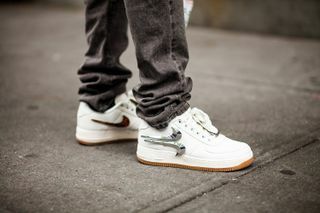 Ranging from the simple and classic Converse Chuck Taylor and Air Force 1, to Nike’s “dadcore” Air Monarch, chunky runners from Yeezy, and designer labels like Balenciaga and Prada, in addition to a consistent display of Air Jordan silhouettes, along with Virgil Abloh’s Nike collabs — peep the solid lineup and don’t forget to share your thoughts below.